- Add a Matching Toss Garter! 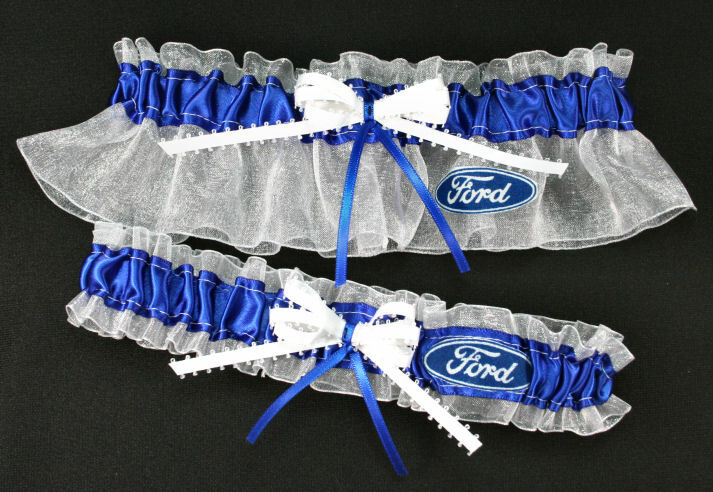 Ford Motor Company Oval logo wedding garter set including bridal keepsake and toss garters. Made with white organza and royal blue satin band. Perfect for FMC collectors or employees.